As all sports or exercise program progresses over the years, so does the clothing and especially the footwear. With literally hundreds of thousand of people enjoying regular Zumba classes, the techniques and type of Zumba training has tacken it's toll on the feet and ankles, so much so that the development of new and better designed footwear became essential for every Zumba dancer. As we start 2013, the latest developments in footwear are now available, designed specifically for the moves associated with your Zumba routines. This year unveils the latest Zumba shoes. If you have read any of my other Wizzley pages on Zumba Apparel for 2013 - Zumba Music Playlist or Zumba Workout Videos you will know that I get my information from my Zumba mad wife, who has a pair of the Z-Kickz and recently bought a pair of the new Z-Kickz High Top which I am reliably informed "give her much better ankle support" - there are also some Zumba moves, where the foot slides and these High Tops prevent the foot slipping inside the shoe as well - again, information gleamed from my wife. The actual shoes themselves are, of course, top quality build. Designed to withstand the moves and routines of the various Zumba routines. But first... Do you Zumba..? Do you do the Zumba dance.? I love Zumba! It is the funnest work out period. 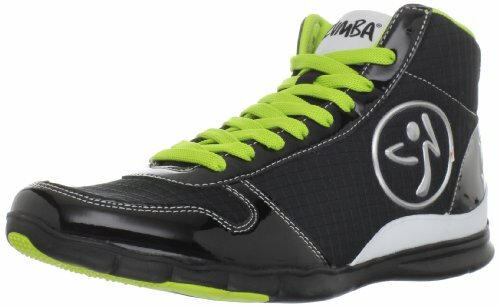 I had no idea there was a shoe designed especially for Zumba. Great! Fresh off the starting blocks (excuse the pun) we have these great Zumba workout and dance shoes that fit you exactly where you need it. 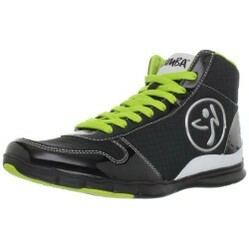 There's the Zumba Fitness Women's Z-kickz High Top Sneaker & the Zumba Women's Z-Kickz original Dance Shoe. Both great shoes with the Z-Kickz originals coming in a choise of black or white (the black, shown here, also has a nice blue strip at the heal area. The white is hasn't. These zumba sneakers are fun! But they're also pretty expensive!